Friday Da Horsey will pen a column on the Hoboken post election winners and losers. There's a long list on both sides but the sweep by Reform means there's going to be both a house cleaning and a reckoning. The City has been put through way too much and its people taken once again for granted with the arrogance, petulance, ambition, sheer greed and the total disrespect of our institutions. Yes, again. Let's add high on the list to the obvious group of winners the family of Jim Doyle. He'll be returning to the council dais in January and although his low key professionalism won't say it, there's going to be a strong rudder guiding that ship. 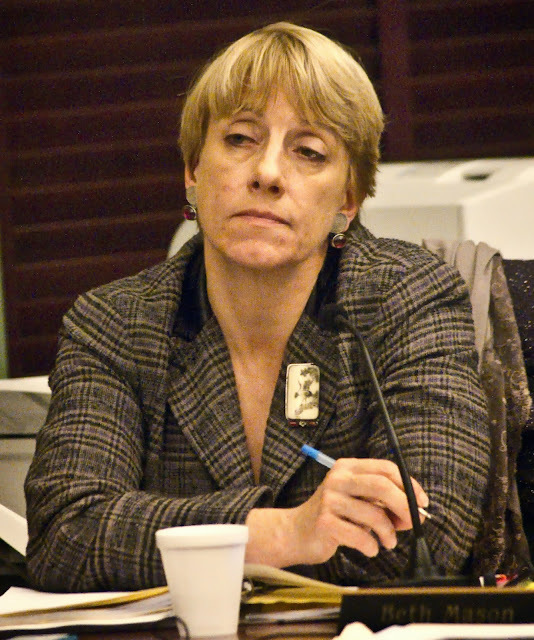 Beth Mason's family checkbook led the repeat of the One Hoboken spring 2009 election disaster. some eager sellouts refuses to allow itself to be bought. Thank you Team Zimmer! Talking Ed Note: Provisionals will be tallied on Ballot Question #1 - Rent Control, so final numbers later today. However based on the close anticipated result, expect a challenge and court date.